Allied health is one of the most lucrative sectors in the United States today, and hugely appealing for people looking to start a solid, secure career. Even better, it offers many well-paying employment opportunities throughout the country without the exorbitant medical school bills. Diagnostic cardiac sonography is one of the fastest-growing careers in the field. With the Bureau of Labor Statistics projecting job growth of 22% over the next decade for cardiac sonographers, and an average salary of nearly $60,000, there’s never been a better time to get involved in this career. Let’s take a closer look at the opportunities for diagnostic cardiac sonographers available throughout the United States. 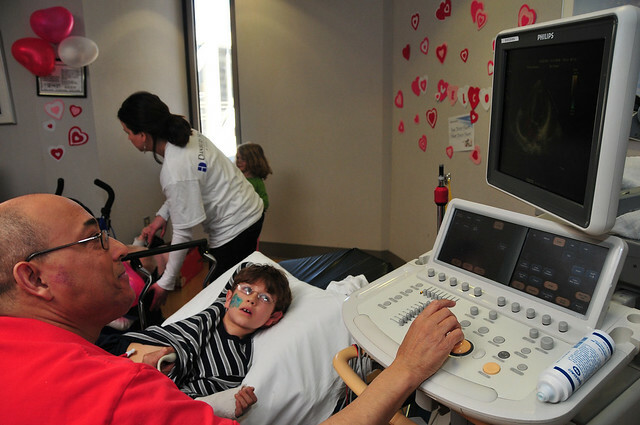 Diagnostic cardiac sonographers (also known as an echocardiography technologists) use ultrasound machines, laptops and transducers to create images of the inside of patients’ hearts. Additionally, they’re responsible for maintaining all of this imaging equipment. 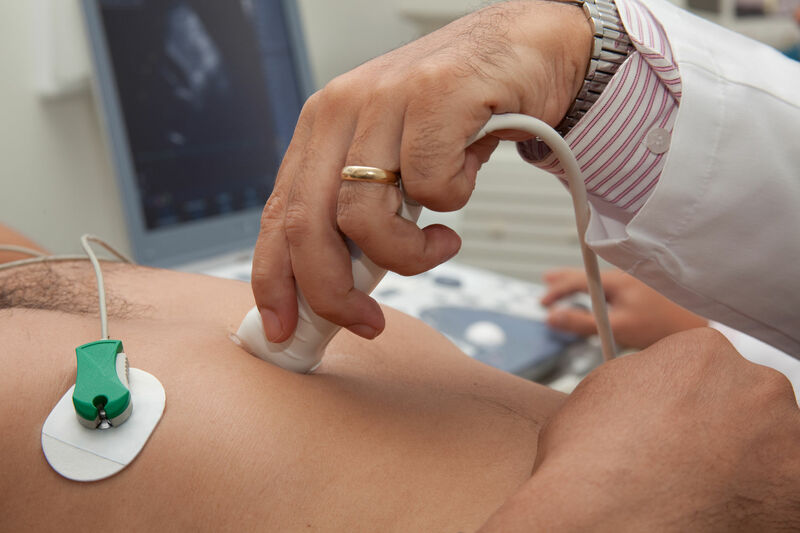 Since this imaging is typically non-invasive, cardiac sonographers are one of the first health professionals patients see to determine the source of heart-related issues. Employment opportunities for diagnostic cardiac sonography are booming right now. Even better, the Bureau of Labor Statistics predicts that from 2014-2024, the job field will grow an unbelievable 22%. This rate is higher than almost every other sector in the country. Why is Cardiac Sonography Expected to Grow So Drastically? As ultrasound and imaging technology advances, medical professionals are better able to detect complications without expensive, invasive methods. 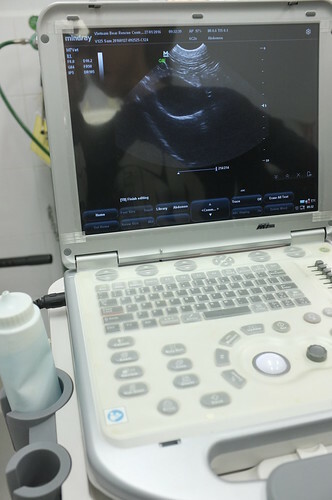 Because of its affordability, ultrasounds are typically the first tool to use for diagnosis. And because the number of medically insured individuals is expected to increase due to federally-mandated health reform, more people will visit medical centers for diagnosis and treatment. According to the Office of Disease Prevention and Health Promotion, in 2014, 14.5% (46.3 million) of the US population was over the age of 65. By 2060, experts predict that number to reach 23.5% (98 million). On average, over half of people over the age of 65 live with two or more chronic conditions like diabetes, heart disease, and cancer. For these populations, the need for regular, non-invasive check-ups is highly important, and also much more affordable for the third-party payers who cover them. What Salary Can a Diagnostic Cardiac Sonographer Expect? The average salary for diagnostic cardiac sonographers reflects the growing demand for certified professionals. The BLS states that, as of May 2016, the median national pay for these allied healthcare specialists hovered around $55,000 (or about $27 per hour). Nationally, the annual salary for the lowest 10 percent of cardiovascular techs was $28,000, while the top 10% received nearly $90,000! Of course, just like any allied health career, wages and salaries vary depending on the state and urban area. For instance, cardiac sonographers in Florida could expect to earn around $58,000 per year. An applicant with the same cardiac sonographer training, however, might expect to receive around $80,000 per year in California. If the professional lives in the Bay Area, this wage can increase to around $100,000 per year. This salary increase reflects the price of rent, which is the highest in the country. Which Facilities Offer the Most Career Opportunities? Diagnostic cardiac sonographers can find a range of public and private opportunities for employment, but typically general medical and surgical hospitals have the propensity for hiring the most cardiovascular techs. Not only do hospitals lead in terms of hiring because the demand for the sector is high, but hospitals also have the facilities and equipment to do so. Because hospitals are the major employer of diagnostic cardiac sonographers, the overall national average reflects an average hospital salary. Career opportunities at physicians’ offices are less common, but should a cardiac sonographer find a position there, they can expect a slightly increased salary of nearly $60,000. Even rarer still is finding employment at outpatient care centers, where 10% of American cardiovascular techs can command a hefty $69,800 per year. Like any professional in the cardiovascular technology sector, diagnostic cardiac sonographers can start their day at any time. If they’ve been hired to work at a small clinic or outpatient care clinic, a more regular, 9-5 schedule might be a typical routine. A major hospital might require on-call hours, nights, or even weekends. One of the best parts of becoming a registered cardiac sonographer is the flexibility for finding work in other states. At the time of this article’s production, only four states – New Mexico, New Hampshire, North Dakota and Oregon – have passed legislation mandating licensure from their respective governments. This means you can easily apply for jobs in 46 states. According to the BLS, the states with the highest number of cardiac sonographers employed are California, Texas, Florida, New York and Pennsylvania. Get Involved with a Career in Diagnostic Cardiac Sonography Today! The typical entry-level requirement for these positions is either a certificate or associate’s degree, so future sonographers will graduate with minimal debt and enter into a job market with fantastic opportunities. There’s no better time to start considering a career in this exciting, promising field. Check out the AIMS Cardiac Sonography Program today for more information! Best Surgical Technologist Career Opportunities in the US Are Medical Billing and Medical Coding the Same?